Have you placed your seed order yet? I am almost ready but I 'm giving myself time to really think about this year's order of seeds and plants. As a sustainable gardener, I'm looking at what I already have before I order, and making sure when I do that any new seeds will help me meet my sustainable goals. Increasing the amount and variety of seeds I am saving for future planting is a priority and that process starts now with my seed order. The first thing I look at before placing a new order are the seeds I have left from last year and whether they are still viable. 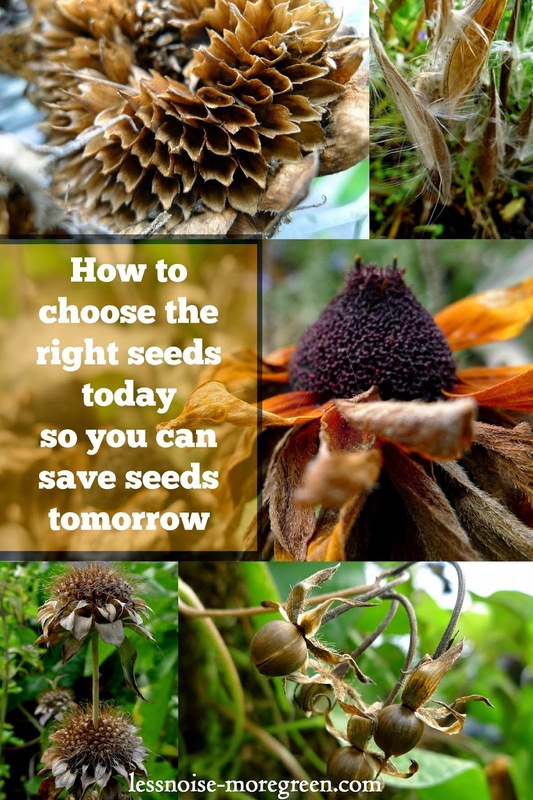 You can find information on how long different seeds stay viable and how to test for viability if in doubt, in my post Top Five Tips for Buying Vegetable Seeds. This inventory then becomes the starting point for this year's order. I want to harvest as much seed as I can from my vegetables, fruits, herbs and flowers. To do this I need to purchase open pollinated varieties. Open pollinated means that the plants are pollinated through natural means such as insects or the wind and the resulting seeds will produce plants true to their parents (cross pollination can occur in some species such as squash which results in seeds which produce plants that are a cross between two different parents). How do you know you are ordering open pollinated seeds? This should be indicated in the seed catalog. Heirloom seeds are always open pollinated. I will order hybrid seeds for squash, cucumbers and peppers. Why? Hybrid versions of these vegetables solve problems I have been having with space, disease and maturity length. I wrote more on this in the post Urban Farming and Hybrid Seeds. The trade off, of course, is that these plants will not produce seeds that will grow plants true to their parents, but more likely one of their grandparents. Some hybrids do not produce seeds that are viable at all. This means I will have to order new seeds of these varieties each year. The last step before I purchase seeds is to create my garden plan. I want to be sure I have room for everything I am ordering. This can be a necessary dose of reality! How many varieties of bush bean do I really need? Ordering the right seeds now is the first step to having my own viable seeds to plant next year. Let the fun begin!